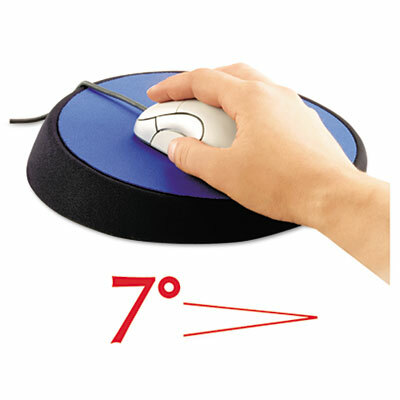 Ergonomic mouse pad features angle adjustment to make your mousing experience perfectly comfortable. The circular, optical-friendly shape maximizes the usable surface. Meets OSHA recommendations for reducing repetitive stress injuries.